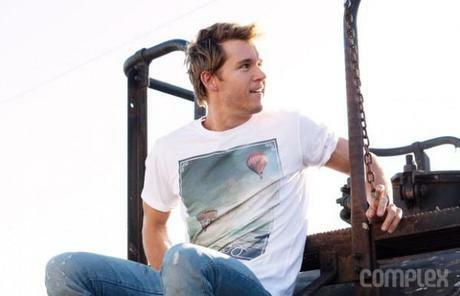 True Blood’s Ryan Kwanten appears in Complex’s June/July 2012 issue. Below is a short interview with Ryan by Lauren Otis (@LaurNado). My first five or six years in LA, I was just trying to get two cents together to stay here. Playing Jason Stackhouse on True Blood put me in a position, financially, to make decisions based on creativity, to choose roles based on whether I connected with them. I love the Jason Stackhouse character… But I also love stepping out of his shoes. Nothing could be more unappealing to me than playing characters like him over and over again. I’ve had second guesses about choosing acting over business [Kwanten has a degree from the University of Sydney]. There was a time when I wanted to be a lawyer, or even a professional triathlete… But nothing could come close to the passion I have for acting. I was working on a television series while I was studying full-time. As the business and acting opportunities got bigger, I thought about which one I’d most regret not taking a chance on, and I felt like it was acting. It’s hilarious how many people think that I’ve channeled George W. Bush when playing Stackhouse! I didn’t, but it’s interesting to hear that. There were a couple people in my life who inspired Jason… But as the character evolved and the seasons went on, I came to the conclusion that the decisions he was making were the polar opposite of the decisions I would make, and that was how I eventually ended up playing Jason—going against all my own instincts. Be sure to go to the Complex Magazine site and subscribe to get your copy of the magazine.